Coaching and training in the world of Crossfit and strength and conditioning, like any other profession involves the constant pursuit of knowledge. True mastery of our art (yes, it is an art!) is practically and theoretically impossible. In an environment and community as dynamic as the one fostered by Crossfit, things change frequently. New programming and training methods are constantly being introduced, scientific studies in topics related to nutrition and sleep are being conducted, and novel cross-sport activities and competitions are testing our athletes like never before. There is always something new to learn and share with our athletes or aid in our ability to impart information to them. The moment that you stop actively seeking this knowledge is the moment you need to consider retirement or a career change! Coaches are far from perfect and I have either seen, or committed myself, just about every classic coaching error there is. To me, coaching involves two main, simplistic abilities that all things we do fall under. Having first a deep knowledge base of our subject matter and related material (what we coach) and second the ability to effectively impart this information to the athlete. In this regard, I have seen errors on both sides of the fence. Does this mean we should just consider ourselves as failures in our coaching lives? Absolutely not! Just like any athlete that we are guiding to a greater level of performance and fitness, we simply need to identify our weaknesses, work on them, and monitor progress. In the light of this never-ending pursuit of improvement in our professional lives, I have developed the guide “Six Way to Become a Better Crossfit Coach.” These Six Recommendations are each based upon a coaching error that I have seen appearing on a regular basis. Please take these recommendations to heart as I see each as being vital to success as a coach. This translates not only to success in our lives, but also in those of our athletes. One final note before I introduce the Six Recommendations to improving yourself as a coach. Not all coaches need work in every one of these areas, but all of them are important to good coaching. You may be well versed in a majority of them and only have issues with one or two. However experienced or inexperienced you are in these areas the fact that all of them are important to being an effective coach doesn’t change. Target your weaknesses, develop a plan to improve, and implement it. As you improve in one area do not allow the others to stagnate or be forgotten. Let’s continue building great athletes and sharing our knowledge and love of our Crossfit with all involved in the community! 1. Be a good person who treats their athletes with respect and dignity. In our modern world people are absolutely inundated with different fitness options, facilities and programs to choose from. Your athletes may be faced with hundreds of different choices of gyms or Crossfit boxes, but they chose to come to yours. Not only that, but they are showing up for your classes and paying you a fair sum of their hard-earned money for your expertise. So what more motivation do they need to show? What they need is a coach who is going to provide programming, teach them how to perform their movements, and provide advice, help, and adjustments as necessary. All of this should be done in an open, welcoming environment free from all forms of intimidation and hostility. For as many serious athletes you have in your box, there are probably twice as many that see Crossfit as a social experience even more than a fitness outlet. In my mind coaching is a service like any other and one that involves great skill in communicating and dealing with people. As service providers to our athlete’s we owe it to them to create a valuable product and impart it to them in the most efficient and effective way possible. Nobody wants to pay money and come train to be yelled at or feel as if they are at work. For as many serious athletes you have in your box, there are probably twice as many that see Crossfit as a social experience even more than a fitness outlet. Consider what’s going to motivate your individual athlete’s and don’t be the angry coach. 2. Always give your best to every athlete. For the most part, coaches and trainers are highly knowledgeable and have novel ideas in their respective fields. However, for whatever reason there are some coaches that feel that they need to withhold information from their athletes, other coaches and trainers, and the overall Crossfit and strength and conditioning community. For some reason they feel like their best ideas should be kept a secret. Perhaps they are waiting for some extraordinary athlete to come along before they bring out the “good stuff” and turn this person into a superstar. If this were the case, is this specific athlete really the one who needs your best ideas? No, chances are this athlete has developed his/her talents and abilities long before even stepping foot into your box. It is the everyday athlete at your gym that will reap the most benefit from your best. Every person that you coach, regardless of athletic ability, deserves and has a right to the very best you can offer them. Therefore, give each and every athlete that you coach your very best every time they come in to train. Share ideas with the other coaches and trainers you work with and with the Crossfit community as a whole. Prepare articles and products you can distribute to members of your box and post online. When the community gets better we all get better! 3. Ensure that there is a plan behind your programming. The programming that you provide to your athletes is the main reason that they have chosen to come to your box and receive training from you. The workouts that you develop should all be part of a larger plan leading up to a certain future goal for your athletes. Constantly reassess these goals and be forward-thinking. You need to have an idea and awareness of what is going to come after this goal is achieved (and the one after that). When creating your programming focus on progressive and future-based training, plan a program from start to finish and include the WODs for everyday that this particular training period will run. Each workout will have a specific purpose and provide a vital piece to the puzzle. This will help to provide the keystone of any good training program, which is constant MEASUREABLE progress. The emphasis is placed on measureable because this is what will provide the tangible results to your athletes and serve as the proof that they are getting stronger, faster, more mobile, etc. Too often I see coaches and box owners hastily writing programming that is not part of a larger training scheme or plan. They simply put something up on the whiteboard for the day with little regard to how it is going to improve the athletes in the big picture. This programming, not being part of a well thought out plan for achieving a future goal is going to have little effect other than burning a few calories. 4. Be available for your students 24/7. As I mentioned before coaches provide their athletes with a professional service. Like any good business we should be available to clients when they need us allowing them access to our services unrestrained by class times and open gym hours. No, this does not mean you should open the box 24 hours a day providing coaches and a class schedule the entire time. Rather be flexible with the hours you open and close the box and make yourself available to athletes when they need you. 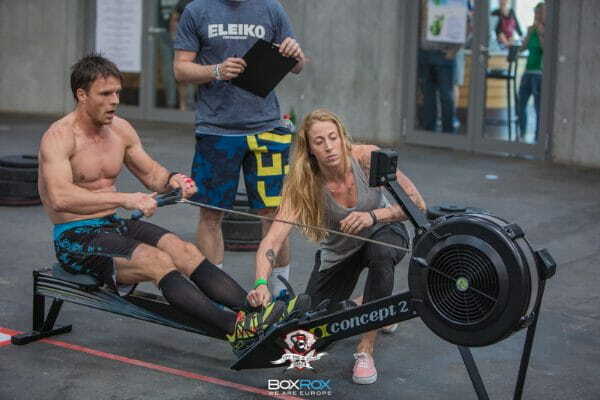 For instance athletes, especially those new to Crossfit, are most likely going to have lots of questions that are not going to be limited to the time that the two of you are face to face in the box. Do not hesitate to give athletes your personal contact information to provide assistance and guidance to them when they need it, not when you feel like it or have the time. For the past year or so I have been coaching Crossfit and running-focused strength and conditioning on a consistent basis. 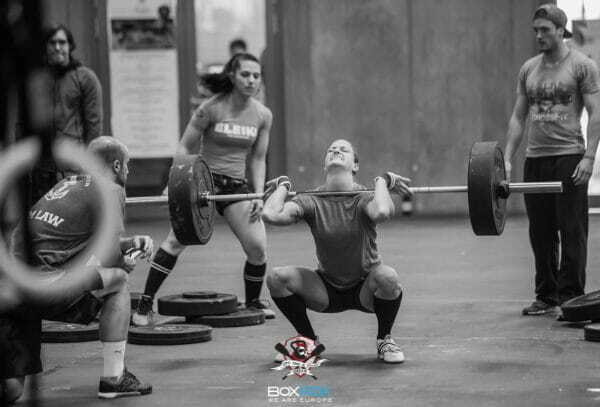 Prior to that I have been practicing Crossfit for several years and running for even longer. Those who know me personally know that I am passionate about teaching and learning. When I am not coaching or training myself I am most likely reading about or watching videos related to strength and conditioning or attending a seminar to sharpen my skills as an athlete and make me a more effective teacher. It’s safe to say that my life has become completely immersed in all aspects of the culture of Crossfit and strength and conditioning. Despite this intense focus and drive to educate myself as much as possible I will be the first to admit that in the grand scheme of things… I know very little! This brings me to the point that if an athlete asks me a question that I don’t know the answer to or whose subject I am unfamiliar with, I have no hesitation whatsoever in telling them simply: “I don’t know, but I will find out.” This is important in three aspects. First, I am not giving the athlete bad information by making up an answer to a question that I am unfamiliar with. Second, by showing the willingness to research the topic and follow up with the athlete it demonstrates the genuine care that I have for the athletes and my desire to see them improve. Finally, doing the research into a topic I am unfamiliar with is only going to expand my knowledge as a coach allowing me to be able to share more with my athletes. So please, coaches and trainers everywhere, for your athlete’s sake and your own do not be afraid to say “I don’t know.” Just ensure that you research the question and follow up with the athlete. You will both be better for it! One important rule that I follow when writing the programming for my athletes is that I am never going to have them do something that I am incapable of doing myself. It’s not fair for me to have them complete movements that I cannot do. Simply because, if I do not have a mastery of the movement, how can I effectively teach it to them? Going hand-in-hand with this concept is the idea of always creating a solid example for your athletes to follow. How much motivation would an athlete have to perform movements when a coach who is out of shape and unfit is telling them to do it? How about taking nutrition advice from a person who is overweight and lacking the drive and self-discipline to maintain a healthy diet themselves? Would you take recommendations and advice from a person like this? As coaches we are role models. The common phrase “Imitation is the most sincere form of flattery,” could effectively be reworded as “Imitation is an excellent training tool.” We need to live the lifestyle that we convey to our athletes. It is vital we display the same degree (or higher) of discipline and motivation that we expect from those we train. A coach who does not do this loses a great deal of credibility in the eyes of his/her peers and athletes even if it’s only on a subconscious level. As coaches we are role models. As I mentioned before, this list of Six Recommendations offers suggested corrections to common coaching errors that I have witnessed in my career as an athlete as well as a coach. This list is not intended to be definitive or exhaustive in any sense. Rather it is simply provided as a guide to bring these issues to light, provoke thought, and generally improve your coaching. If you found one or more of these points to be relevant to your coaching, implement the necessary changes sooner rather than later. In the long run, I am certain you will find that your coaching, as well as your athlete’s receptiveness to your techniques will improve. If you have any questions relevant to the Six Recommendations or anything related to CrossFit, strength and conditioning, or endurance athletics please do not hesitate to contact me via e-mail at john@dsp-athletics.com.